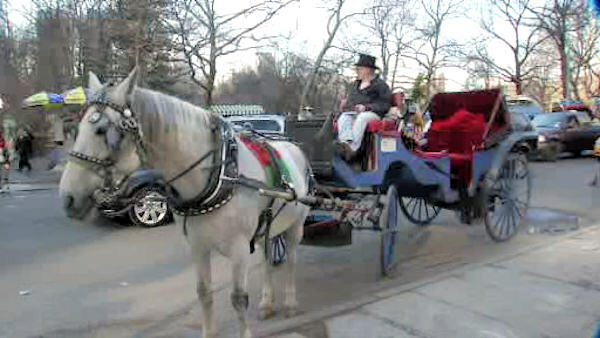 NEW YORK (WABC) -- The Central Park Conservancy is weighing in and not happy about Mayor Bill de Blasio's plan to relocate carriage horse stables within the park. The conservancy says extending the carriage horse path from its current boundary at 72nd Street further north into the park would increase traffic on already over-crowded drives and bridle paths. The cost of the new horse stable is estimated to be $25 million in taxpayer money.